Hynes-Quinn Driving School offers the very highest standard of tuition for those seeking car driving lessons. Don’t worry if you are nervous – everyone has been in that position at some point in their driving experience. We also cater for disabled learners. 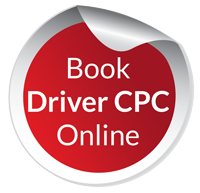 Driver CPC Dates for April and May now available! You may wish to obtain a licence in only one of the covered vehicles, or like many of our students, you may choose not to stop until you’ve got your car, rigid and artic truck licence. We will show you the same level of care and training – regardless of which licence or licences you are aiming for.